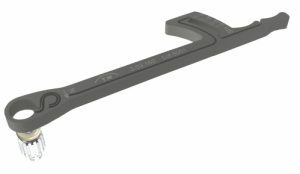 Straumann has filed a US patent application for a Peek/Titanium composite one-piece Implant. This implant design features an outer titanium shell (label 1 and 2) and an inner core made of PEEK (label 3 and 4). This designs claims the aesthetic advantage of the white-coloured PEEK at the collar and abutment with the proven osseointegration properties of titanium. This is an interesting design response to the number of zirconium collar (TBR Group) and all zirconium implant (Z-Systems) designs. Thommen Medical has introduced their SPI MONO torque ratchet. It is manufactured from a solid billet of titanium. It has a torque range of 10Ncm to 35Ncm in 5 Ncm increments. The one-piece construction simplifies regular maintenance as there are no parts to disassemble for cleaning and no lubrication is required. Nobel Biocare has introduced an improvement to their Ti-Unite Surface. By placing micro grooves on the surface they claim to increase the implant stability by up to 30% thereby allowing for more rapid bone formation. 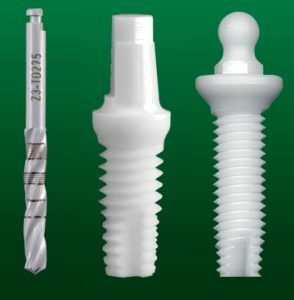 This surface improvement takes a mechanical approach to increase Bone-to-Implant Contact as opposed to the chemical surface modification`s introduced by Astra (Osseospeed) and Straumann (SLAtive), their main competitors. 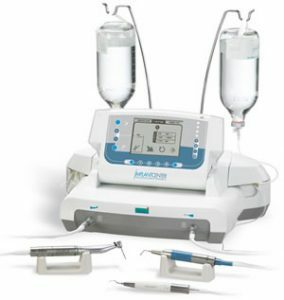 NSK has introduced several improved features to their implantology handpiece and motor system. 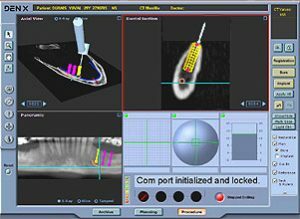 The `Surgic XT Plus` features a fiber-optic handpiece to illuminate the osteotomy site and a torque calibration feature to ensure precise speed and torque during surgery. 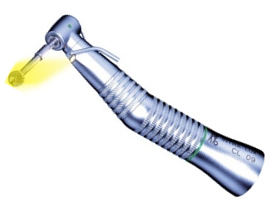 Kavo has introduced an innovative implantology handpiece with a fiber-optic light. This is a part of their Intrasurg 300+ implant motor and handpiece set. It also boasts a torque measuring feature to aid in immediate placement and immediate load decision making.